• Amplify Shader Editor now supports Lightweight SRP v1.1.5 via templates. • Templates can now be Multi-Pass. 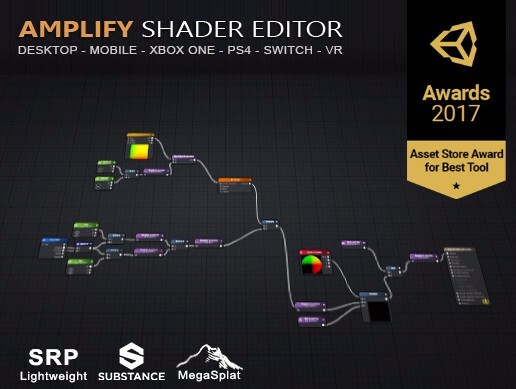 • Amplify Shader Editor is now compatible with Unity 2018. • Official support for Xbox One/PS4/Switch. • Can create terrain shaders with up to 4 splats, completely from within ASE without external editing required. The Editor will continue to be improved in future updates, there are a lot more features currently in development. 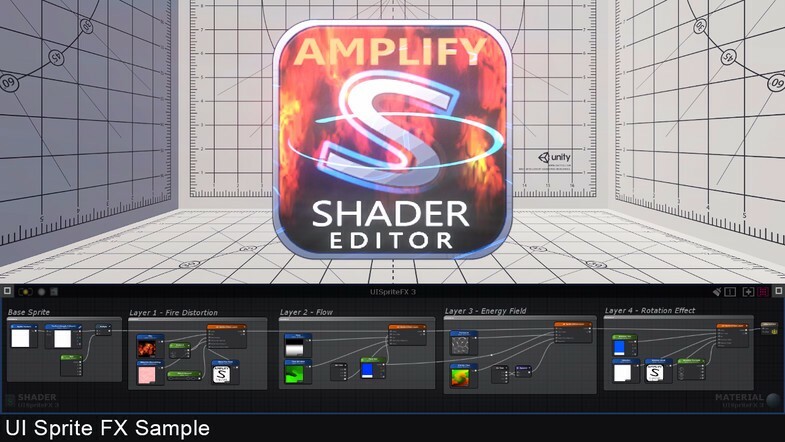 Amplify Shader Editor (ASE) is a node-based shader creation tool inspired by industry leading software. An open and tightly integrated solution, it provides a familiar and consistent development environment that seamlessly blends with Unity’s UI conventions and Shader use. Affordable quality and flexibility with the responsive customer support you can expect from Amplify Creations. INTUITIVE and UX-focused, the workspace is familiar, clean and flexible. Dock it, or use it in a second monitor, it’s prepared to fit your layout requirements. MINIMALISTIC toolbars and menus have been optimized to maximize workspace area without large intrusive nodes or menus. Creating nodes or new Shaders is as intuitive as creating a new Unity Material in the Project Explorer window. OPEN to customer contributions like nodes, improvements, bug fixes or third-party support. We aim to provide a robust and flexible tool that can be easily adapted to existing art production pipelines. FLEXIBLE shader creation options. 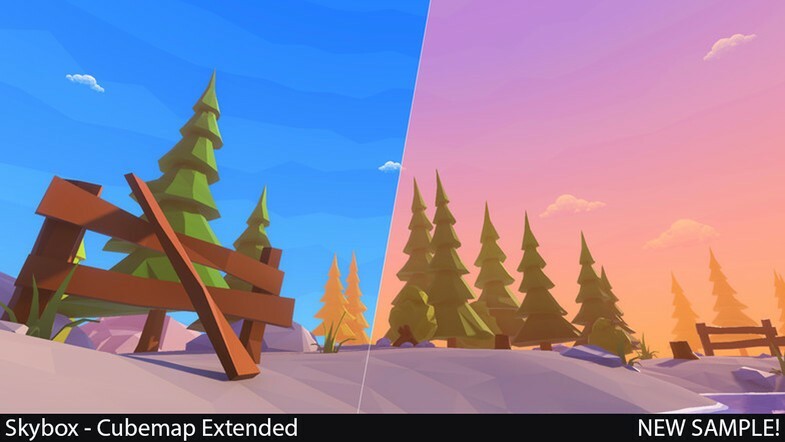 While in the current version you can create and extend Surface Shaders, upcoming updates will include dozens of additional shader types, custom lighting models and extended options to help unleash your creativity while adapting to your production's technical specifications.